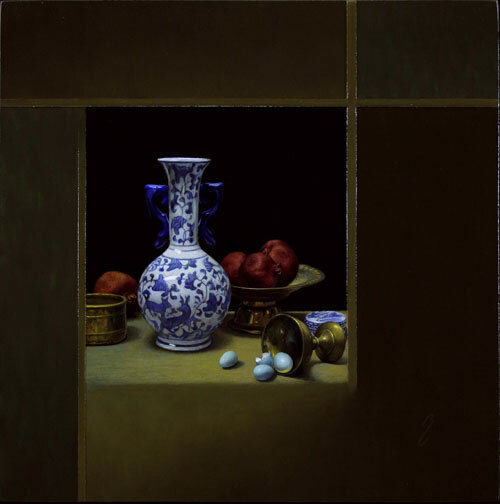 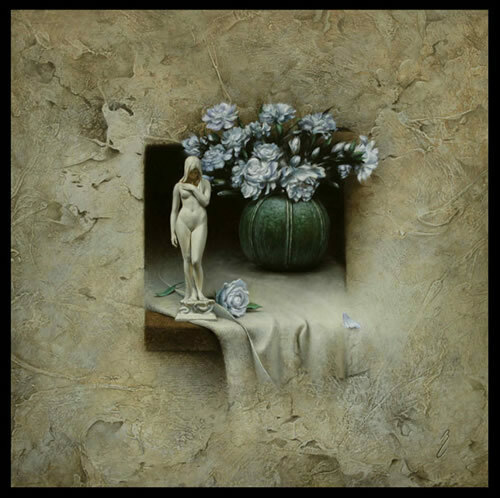 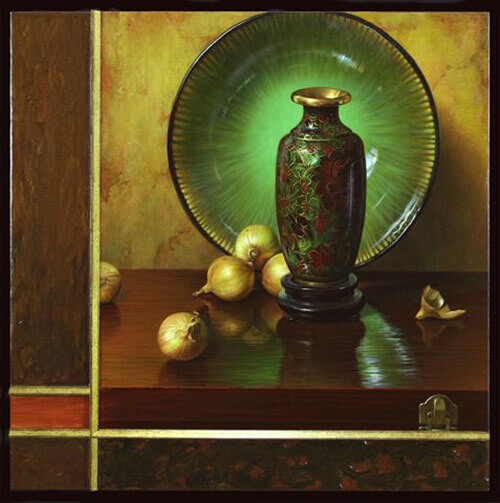 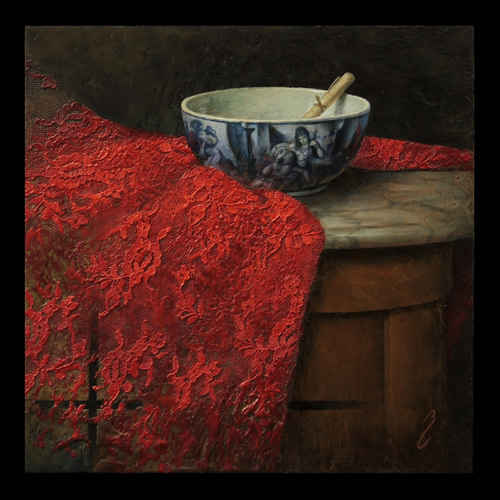 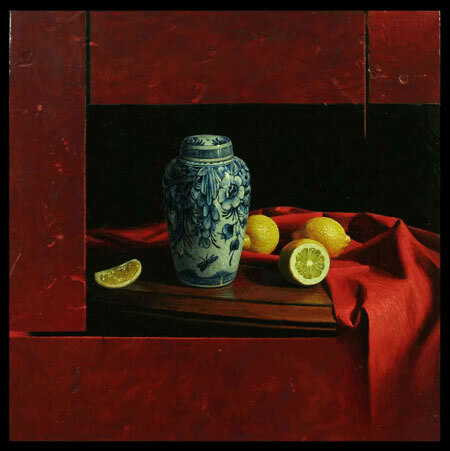 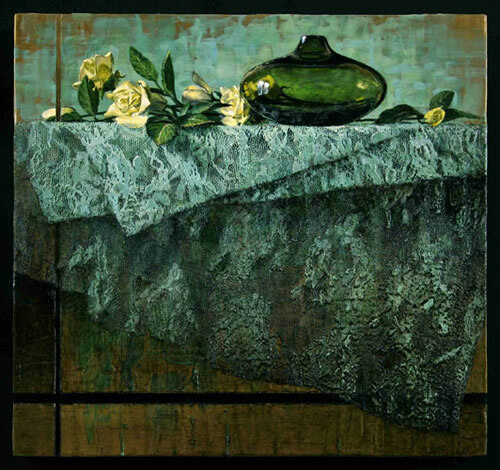 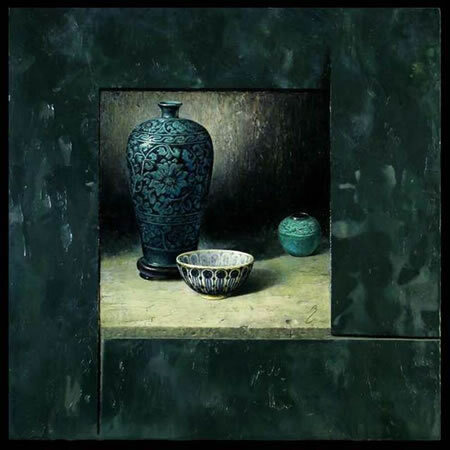 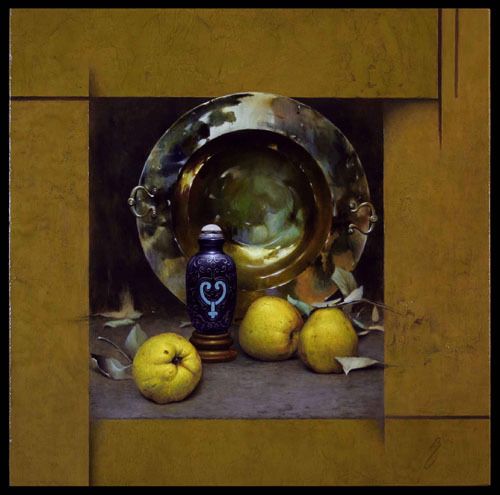 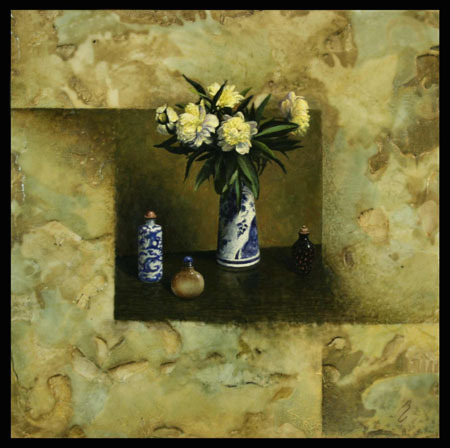 Most of the above works belong to the Contemporary Still-Life series, where modern and traditional influences are balanced in the interface and fusion of these divergent forces in painting. 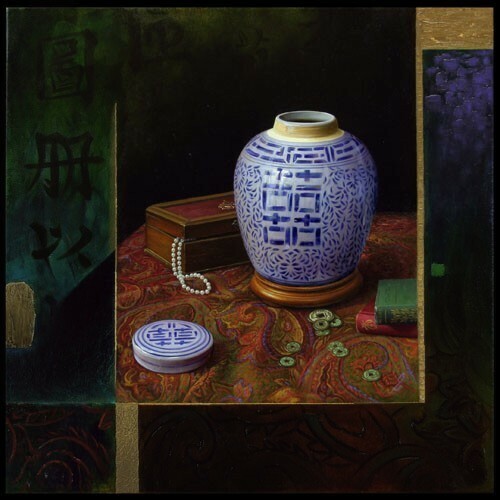 Upon this stage I explore my fascination for the mastery of Asian pottery, which plays a central role in my work. 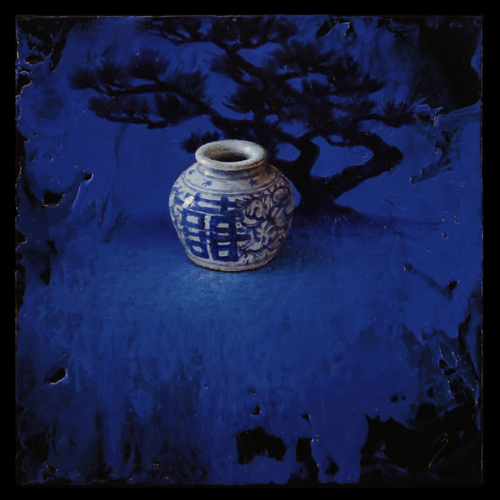 The roots of this cycle span back to years lived in China Town, Toronto, while studying at the Ontario College of Art in the mid 90’s. 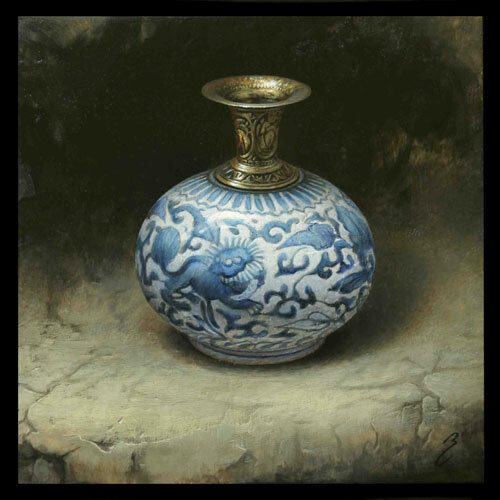 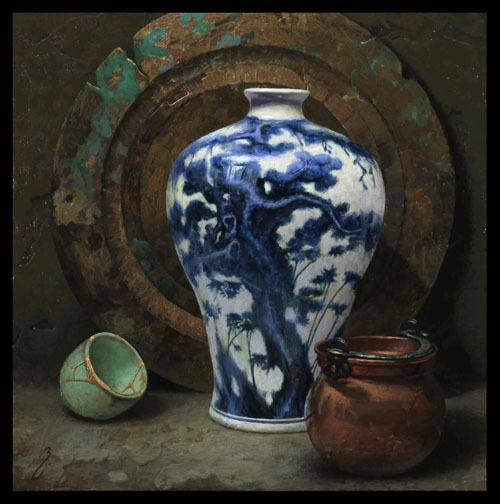 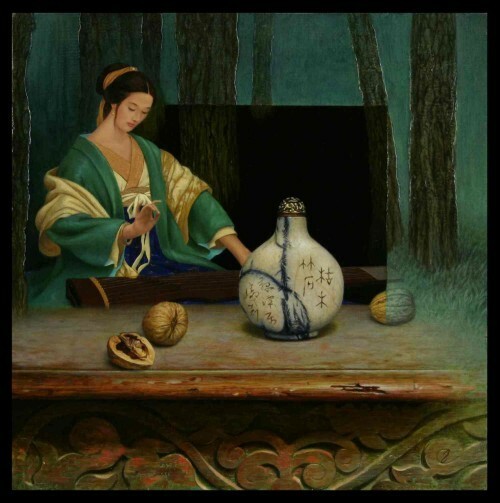 I shared a house with 17 Chinese nationals, met my South East Asian wife, and began to paint Asian pottery; resolving that my equally strong bent for non-representational and fine traditional painting should find a unity of expression. 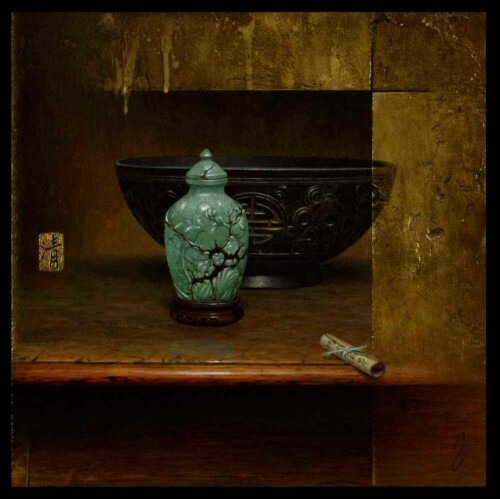 These works exhibit both harmony and tension, the universal dynamic which finds expression here in the dialectic of artistic traditions, an ongoing and beautiful affair.